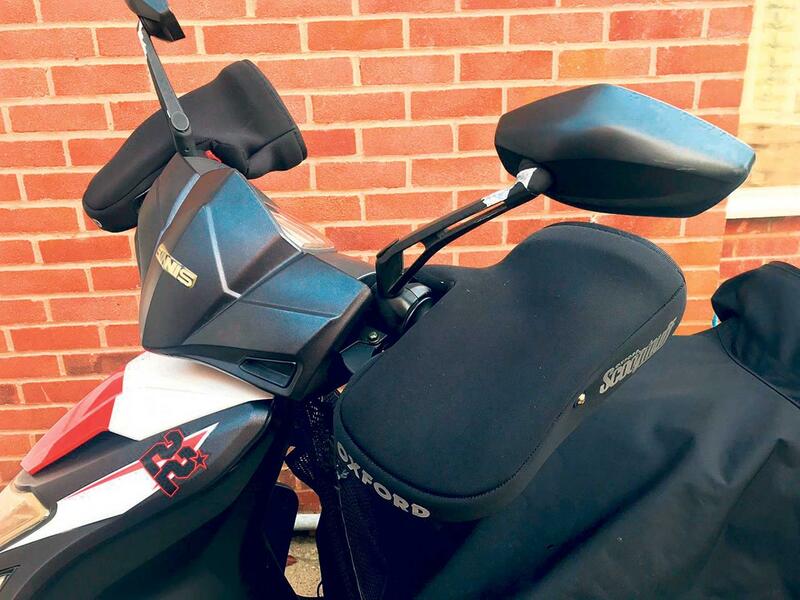 I tested these Oxford Scootmuff (RRP £39.99) for nine months, covering 1250 miles. These easy-to-fit, semi-rigid, universal muffs have been a godsend when I’ve been commuting on my scooter. My journey takes longer on my Sinnis 125 than a ‘normal’ bike on account of the fact it’s so slow (52mph on the flat, or 62mph with a tow from a lorry), so my hands get colder, or at least they did until I fitted these. The muffs are available for regular or maxi-scooters and take all of a minute to fit. They slide over the bars and levers and you can either secure them by an Velcro strap or screw them more securely into the bar ends, which is what I’ve done. The muffs can make you feel claustrophobic at first, but you’ll take that and a slight lack of dexterity in return for warm hands in the winter. MCN Chief Road Tester, club racer, airmiles millionaire. Harley-Davidson Livewire: order books open!